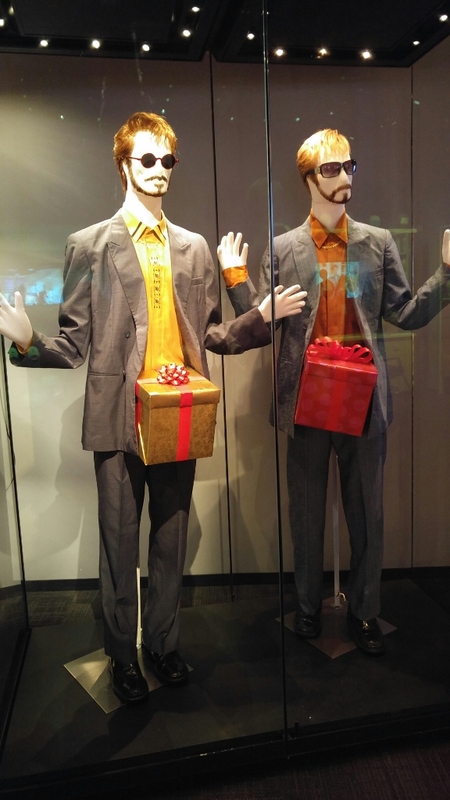 Walking into the building, you are immediately greeted by the gift shop; something usually saved for the end of a trip. We wandered inside first, not sure of where else to go and wanting to see what offerings might be available. Some of the items included your average gift shop staples, but the specialty items were impressive. They ranged from a talking Stefon plush to crystals and even props from SNL 40. Once you walk through the double doors, you are greeted with an interactive experience. Past hosts and cast members take part in a video introduction and set the mood for the immersive adventure that is about to begin. 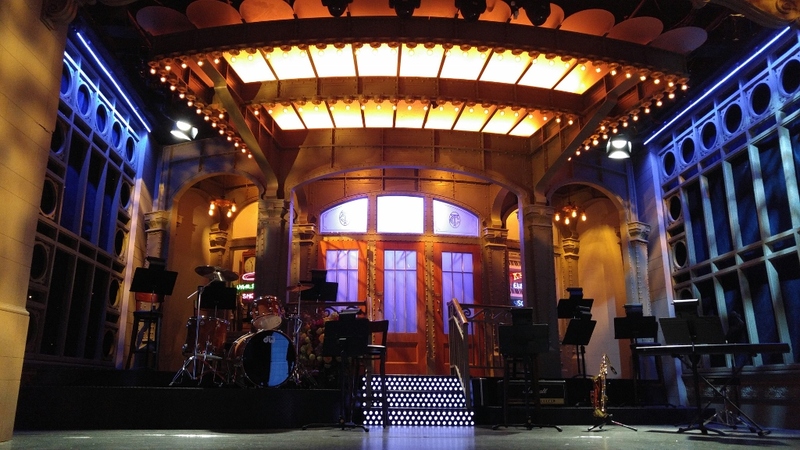 Have you ever really wondered what goes into the making of an episode of Saturday Night Live? 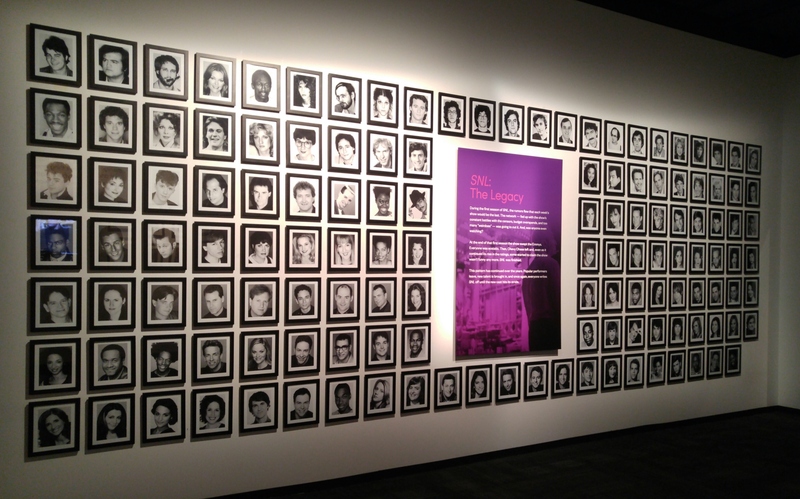 Saturday Night Live: The Exhibition takes its visitors through a typical week at SNL. What are the crew, cast members, writers, and hosts doing to prepare? What goes into the writing of an episode? How are all the decisions for each sketch made? And what about all those props and sets? 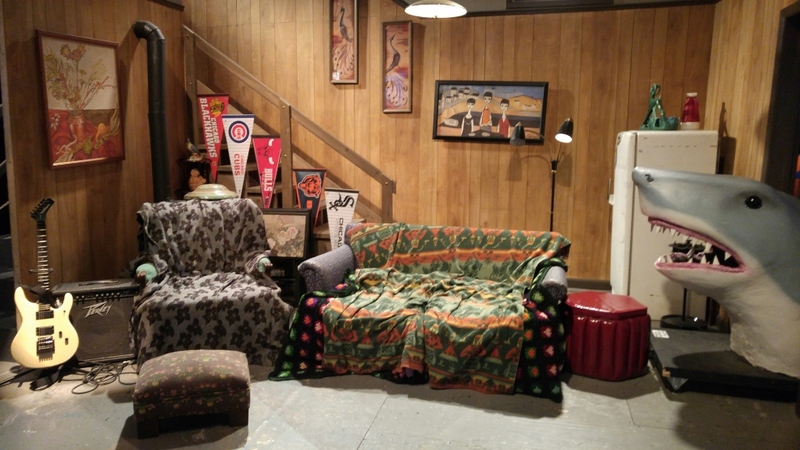 As the tour begins, visitors to the exhibit are treated with videos and actual props from past episodes, and can even pose and take a picture on some iconic sets. Ever wonder what it’s like to sit on the Wayne’s World couch? 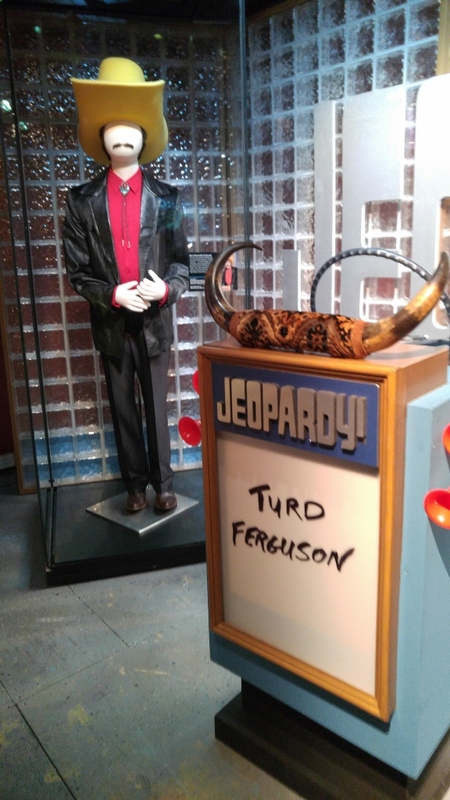 Or pose beside Turd Ferguson? Now’s your chance! The exhibit is featured and located on 5th Avenue in New York City, and shares the space with Tut. This is a must for any fan and viewer of Saturday Night Live, and is definitely worth the price of admission. For more information on attending Saturday Night Live: The Exhibition, please visit the official website.